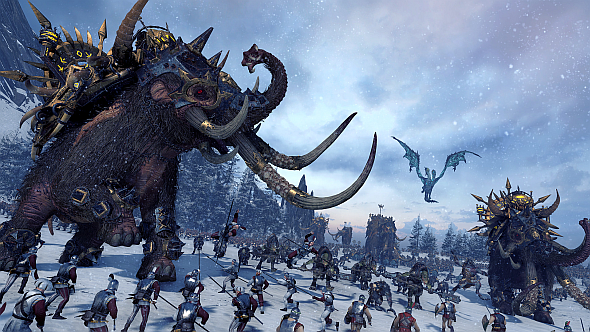 With their Steam page now live, the new Norscan faction have been revealed for Total War: Warhammer. They’re free if you pre-order Total War: Warhammer II, but won’t actually appear in the sequel, so only pick them up if you own the original game. 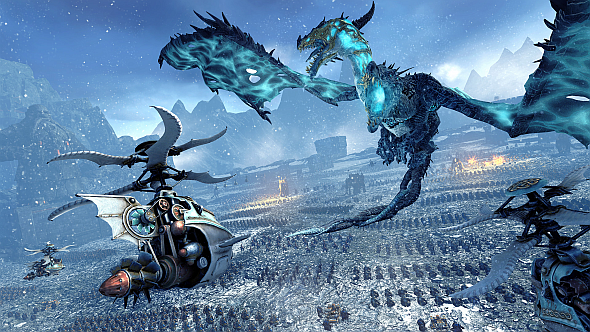 Get the lowdown on the sequel: here’s everything we know about Total War: Warhammer 2. Consumer advice out of the way, let’s talk Norsca. They’re an aggressive army full of monsters and marauding raiders. They can field quick and hard-hitting troops, such as chariots, warhounds, and ice wolves, as well as agile missile cavalry. Some of their units have vanguard deployment, and all but the biggest can hide in forests to set up ambushes. The marauders themselves also get a unique rage mechanic, which apparently enables them to “tear through” their enemies, though it’s not clear how this will work. Don’t expect much in the way of armoured troops, shock cavalry, ranked archery, or artillery, however. Rather than make the Varg or Skaeling tribes playable, the Norsca DLC adds two all-new tribes, each led by new legendary lords with new starting positions. 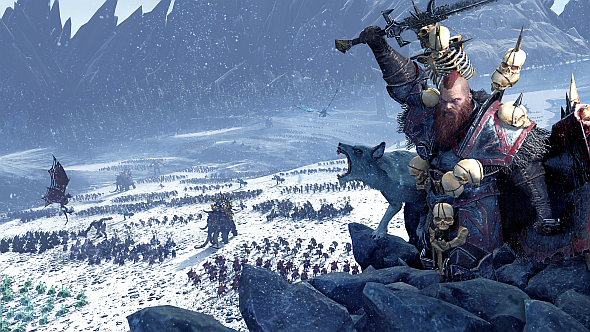 Wulfrik the Wandererleads the new Norsca faction – he’s a fearless duellist who roams land and sea seeking the world’s strongest monsters and warriors to kill. One of his Chaos gifts is the ability to issue an irresistible challenge in any language – accordingly, one of his skills enables him to pin enemy characters in place while he fights them. Throgg the Troll Kingis your second legendary lord. Chaos mutations affected his mind rather than his body, granting him a rare intelligence among his otherwise immensely stupid race. He leads the Wintertooth faction, buffs all troll units and reduces their upkeep, and gets a unique building if he captures Eringrad, a settlement in Troll Country. He also has a special magic missile attack called Copious Vomit. Creative Assembly have released the very first video of the faction in action, and you can watch them at the top of this page. You can check out Norsca on Steam here. They’ll launch on August 10 and cost you £7.99 ($9.99), but you’ll get 10% off if you pre-order them, and you’ll get them free if you pre-order Total War: Warhammer II. That’s due to launch on September 28.